At the end of Sylvia Townsend Warner’s 1927 novel Mr. Fortune’s Maggot, there is an unusual postscript—what Warner calls an “envoy.” It is a farewell from the author to her protagonist, a character who, in the space of less than two hundred pages, exerts an unforgettable emotional presence. “My poor Timothy, good-bye!” she writes. “I do not know what will become of you.” She writes not to her readers, nor about herself, but directly to Mr. Fortune, as one person to another. This heartfelt envoy gives a clue to Warner’s own character, but one needs many clues in order to grasp her full, protean nature as an author. Born in England in 1893, Warner grew up in Devonshire as a teacher’s daughter at the prestigious Harrow School, Eton’s rival. She received no formal education but was taught at odd times by the school’s masters, in particular the musician Percy Buck, with whom she later carried on a clandestine affair that lasted seventeen years. Her father, Harrow’s history master, was an inspiring and beloved figure in her life until his death in 1916, when Warner herself was twenty-two. During that time, in the midst of World War I, she moved to London and worked in a munitions factory. Later, in the 1920s and ’30s, she was an active Communist, a member of the Party who traveled to Spain with the Red Cross during the Spanish Civil War. She contributed regularly to publications like Time and Tide and Left Review, and even after she began to have doubts about Communism, she maintained her belief in political activism. Such a life does not leave much room for writing, and yet Warner did write and research extensively—at first about sixteenth-century religious music (on which she was an expert, thanks to Percy Buck). She also wrote biographies of Jane Austen and T. H. White and made the first English translation of Proust’s essay collection Contre Sainte-Beuve. 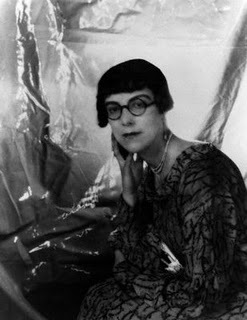 Throughout her life she wrote poetry, sometimes in conjunction with her eventual long-term partner, Valentine Ackland. The two women met in 1930 and published their first joint collection of poetry, Whether a Dove or a Seagull, in 1934. For thirty-nine years Warner and Ackland lived together, their time cut short only by Ackland’s death in 1969. Warner, however, was—as we have seen—not exclusively a lesbian, and her relationship with Buck overlapped by some years with her de facto marriage to Ackland; nor was Warner’s affair with Buck her only venture into heterosexual relationships. As with much of her life, a quick glance at Warner’s romantic career reveals only a few of its many facets. The same goes with her written work. It is unusual enough that a Communist poet well-versed in Tudor church music would write fiction, but Warner, in addition, chose varied subjects that never cohered into a logical whole—one possible reason why she has now fallen out of fashion. Over the course of her career she wrote more than a hundred and fifty short stories, most of which were first published in The New Yorker. She also wrote seven novels. Her first, Lolly Willowes (published in 1926, when Warner was thirty-two), concerns a provincial woman who decides to become a witch—hardly traditional fare for a first novel. Warner followed it a year later with Mr. Fortune’s Maggot, a book about an Anglican priest whose “maggot,” or whim, is to travel to a South Sea island as a missionary; once there, he becomes involved in a faith-shaking relationship with a native boy named Lueli. One might well wonder how two such different novels could come from the same author. Their tone and style differ as dramatically as their content. Lolly Willowes is unusual in its matter-of-fact dealing with the macabre, but it does not hold the emotional power of Mr. Fortune’s Maggot, a concise and vivid portrait of a conventional man convinced by an overwhelmingly exotic experience to reverse his deepest beliefs. Warner’s close friend, the writer David Garnett, was moved to tears when he read the manuscript of Mr. Fortune’s Maggot. Readers similarly charmed by Timothy Fortune, however, will be surprised by Warner’s later novels, for she did not usually show such fondness for her characters. Indeed, many of her books exhibit a distance on the part of the author, a refusal to commit fully to the emotions and travails of her characters. 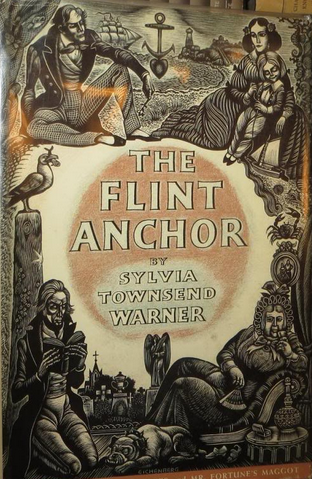 In her last novel, The Flint Anchor (1954)— arguably her masterpiece, which tells the story of a nineteenth-century family in East Anglia—Warner jumps from one character to another without warning. Just as the reader has become invested in Euphemia, the intelligent and exploited eldest daughter, she vanishes, becoming only peripheral as Warner tracks first one sibling and then another. The story’s sole steady focus is the patriarch, John Barnard, an emotionally twisted tyrant whose insistence on moral correctness turns his family’s life into a quiet hell. But Warner does not make a villain of him. There is no outrage or self-righteousness in her writing; in fact the coolness with which she presents the strange yearnings of different hearts is consistently unnerving. She discusses John Barnard’s love for his daughter Mary, which is obsessive to the point of romantic passion, with unruffled calmness. Other writers might have saved the revelation of this love’s true nature for a climactic moment, a shocking twist. But Warner mentions it lightly: the man loves his daughter with a devotion bordering on lust—that is all. Readers must learn to accept such surprises with equanimity if they are to follow Warner’s narratives with the engagement her prose demands. For Warner’s prose is the finest element of her books, the force that transforms her odd settings and characters into meaningful statements on humanity. She writes about emotions from a distance but also with absolute, sure-handed confidence. Her sentences are simple, unfussy, and full of indelible imagery. In her best novels they display a wise humor that gives an irresistible tang to her prose. Reading Warner often feels like having a conversation with a witty and eloquent but slightly intimidating raconteur: one never quite knows where the stories will go. In Warner’s novels, the characters are frequently both lovable and a bit laughable—though feeling their tragedy, one can’t help realizing that their troubles are comic, and all the sadder for that. Even Mr. Fortune, one of the few characters for whom Warner expresses outright affection, is an undeniably humorous figure, an upright little priest doing his best to recreate England in a Pacific paradise. It is fitting that Warner’s last collection of stories, Kingdoms of Elfin (published in 1977, the year before she died), describes the outlandish fairy courts of Europe—for there is something fairy-like about Warner’s own perspective: not in the sense of being whimsical, gay, or sweet, but in the old-fashioned sense of the word “fairy” that Warner preferred, referring to the frightening, cold-skinned inhabitants of the Celtic shadowlands who looked on humans with an alien and ruthless eye. Yet in some ways drawing such a connection is unfair to Warner. For all her unsettling authorial distance, she never fails to support love as a laudable and unstoppable force—the moral trump card in the deck of life. And the evenhandedness of her writing drives home this message with more force than many other writers achieve. In the best of Warner’s novels—Mr. Fortune’s Maggot, The Flint Anchor, and The Corner That Held Them, a magnificent work from 1948 that chronicles the activities of a nunnery in the fourteenth century—the rigorous fairness with which Warner writes makes the reader’s own judgments on the story seem reasonable, based on careful observation rather than an obvious moral. The game may be rigged, but Warner’s talent is such that the conclusions to which she leads the reader feel irrefutable. Mr. Fortune was not a scholar, he did not know that the psalms express bygone thoughts and a bygone way of life. In his literal way he believed that the sixty-second psalm applied to him. For many years he had been a clerk in the Hornsey branch of Lloyds Bank, but he had not liked it. Whenever he weighed out the golden sovereigns in the brass scales, which tacked and sidled like a yacht in a light breeze, he remembered uneasily that the children of men are deceitful upon the weights, and that they are altogether lighter than vanity itself. In the bank, too, he had seen riches increase. But he had not set his heart upon them: and when his godmother, whose pass-book he kept, died and left him one thousand pounds, he went to a training-college, was ordained deacon, and quitted England for St. Fabien, a port on an island of the Raratongan Archipelago in the Pacific. St. Fabien was a centre of Christianity. It had four missions: one Catholic, one Protestant, one Wesleyan, and one American. Mr. Fortune belonged to the Protestant mission. He gave great satisfaction to his superiors by doing as he was bid, teaching in the school, visiting the sick, and carrying the subscription list to the English visitors, and even greater satisfaction when they had discovered that he could keep all the accounts. At the end of ten years Archdeacon Mason was sorry to hear that Mr. Fortune (who was now a priest) had felt a call to go to the island of Fanua. Fanua was a small remote island which could only be seen in imagination from that beach edged with tin huts where Mr. Fortune walked slowly up and down on evenings when he had time to. No steamers called there, the Archdeacon had visited it many years ago in a canoe. Now his assistant felt a call thither, not merely to visit it in the new mission launch, but to settle there, and perhaps for life. The two clergymen strolled along the beach in the cool of the evening. The air smelt of the sea, of flowers, and of the islanders’ suppers. The Archdeacon spoke so sadly that Mr. Fortune, knowing how much he disliked accounts, wondered for a moment if God would prefer him to wait still in St. Fabien. God tries the souls of men in crafty ways, and perhaps the call had been a temptation, a temptation sent to try his humility. He turned his eyes towards where he knew the island of Fanua to lie. What his superior had said about it had not displeased him, on the contrary he liked to think of the islanders dancing and singing. It would be a beautiful estate to live among them and gather their souls as a child gathers daisies in a field. With this complacent and wholly mistaken vision of what his future life will be, Mr. Fortune travels to the vibrant, lonely island of Fanua. His experiences there overturn all of his most cherished convictions, and at the end of the novel its readers too may feel that they have taken a surprising and transformative journey—a sojourn in the mysterious world of Sylvia Townsend Warner’s imagination. Learn more about Sylvia Townsend Warner’s novels on Amazon and Goodreads.